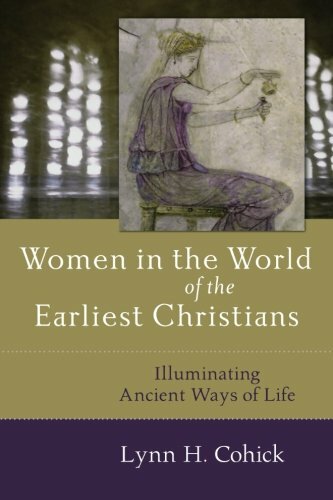 Women and the world of the early church. A few months ago I led my small group in a study of the so-called household codes in Ephesians. What struck me as I read those familiar verses was my ignorance of context. For generations, Christians have analyzed and argued over the precise meaning of the Greek text, but at the end of our word studies we rarely discuss the social situation Paul wrote into. That surely matters enormously. Words never get used in a vacuum; they apply force to the existing structures of thought and try to shift them around. Was Paul speaking into a uniformly authoritarian patriarchal system? Then his admonitions to subject individuals (wives, children, slaves) might merely affirm prevailing belief about their duties to submit and obey, while his urging authority figures (husbands, fathers, masters) to love, not to provoke, and to reward, might be intended to revolutionize the home by undermining its assumptions about power. If, on the other hand, Paul addressed homes that were dangerously turbulent, with slaves about to revolt and wives ready to rebel, we might more fairly read him as a social conservative seeking, above all, to stabilize the existing order (even while humanizing it). Which is it? Over the years I have picked up a certain amount of lore about 1st-century society, but I was not sure whether this amounted to myth or scholarship. Lynn Cohick, a New Testament professor at Wheaton College, has greatly helped me by carefully unraveling the Greco-Roman-Jewish-Christian society in which the early church arose. She focuses her attention on women as daughters, mothers, wives, workers, slaves, prostitutes, and benefactors. Since men figure in most of those roles, she covers a great deal of the whole social scene.